From direct messages to group conversations, Google Hangouts Chat helps teams collaborate easily and efficiently. Google Hangouts Chat is a global integration set up per App. 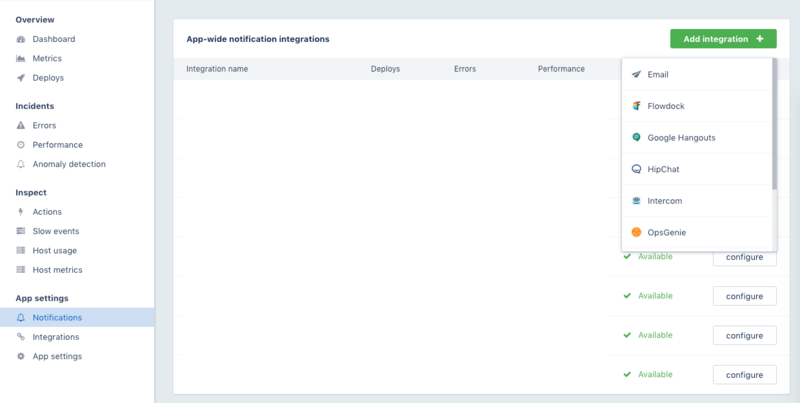 Adding the integration consists of two steps, one on Google Hangouts Chat and one on AppSignal. 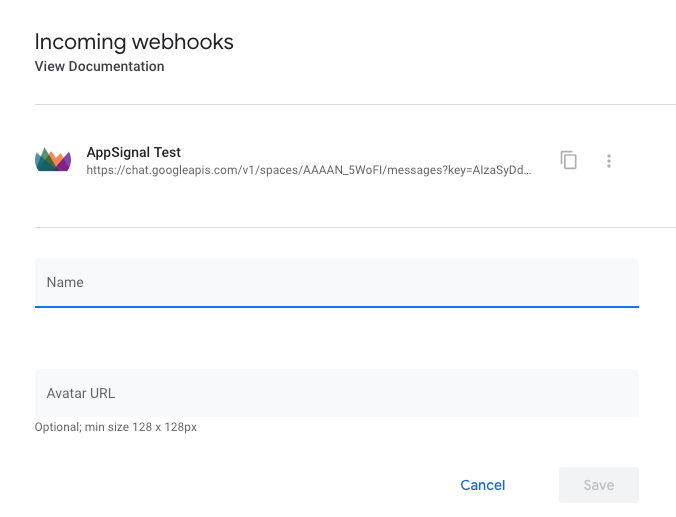 On the desired app, head to "Notifiers" and select "Google Hangouts"
Fill out the form and paste the webhook url from step one in the "webhook ur" field. 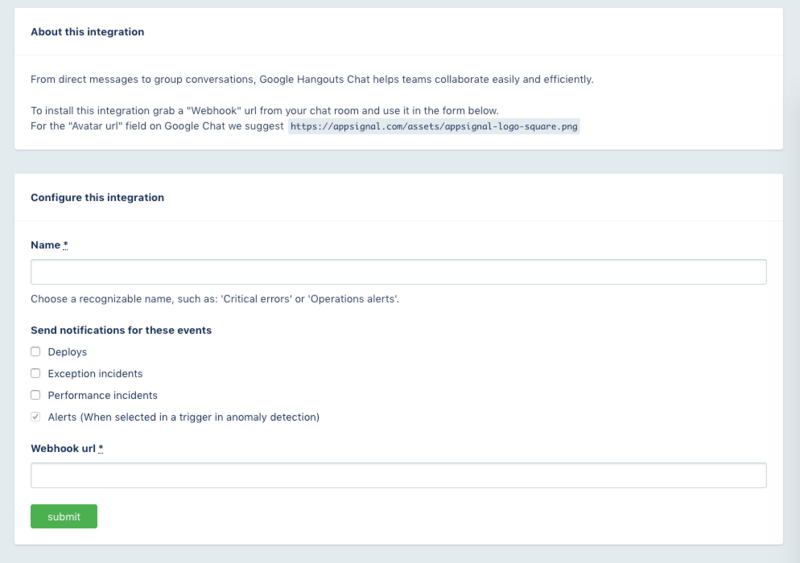 Make sure to pick a descriptive name for the integration such as "#errors channel on Hangouts"
You can test the integration after saving the form, a message should appear in your Hangouts chat.